The construction industry is constantly evolving but safety remains a top priority. In 2016, there were 991 fatal injuries in the U.S. construction industry — equating to one in five of all worker deaths in the country. The leading causes of deaths were falls, followed by being hit by an object, electrocution and getting caught, crushed or struck by collapsing structure, materials or equipment. Dean McKenzie, director of the U.S. Occupational Safety and Health Administration (OSHA), discusses this painful issue. Volvo (V): Why do you think construction has this relatively poor record of safety? OSHA: Construction by its nature is constantly changing: job sites are different tomorrow than they were today. You either dug the hole deeper or put the walls up taller — it never stays the same. This lack of consistency means that the risks — and the hazard awareness needed to reduce them — also needs to constantly adapt. V: Deaths on sites are thankfully low in the U.S. Are the numbers still reducing? OSHA: In absolute terms, deaths on sites in the U.S. are actually rising. But as a proportion of construction and housing starts, things are improving. The U.S. construction industry is in a growth phase, meaning more activity, more people involved in the industry, and unfortunately, more accidents. But the long-term trend is still in the right direction. V: How is safety regarded on sites now? 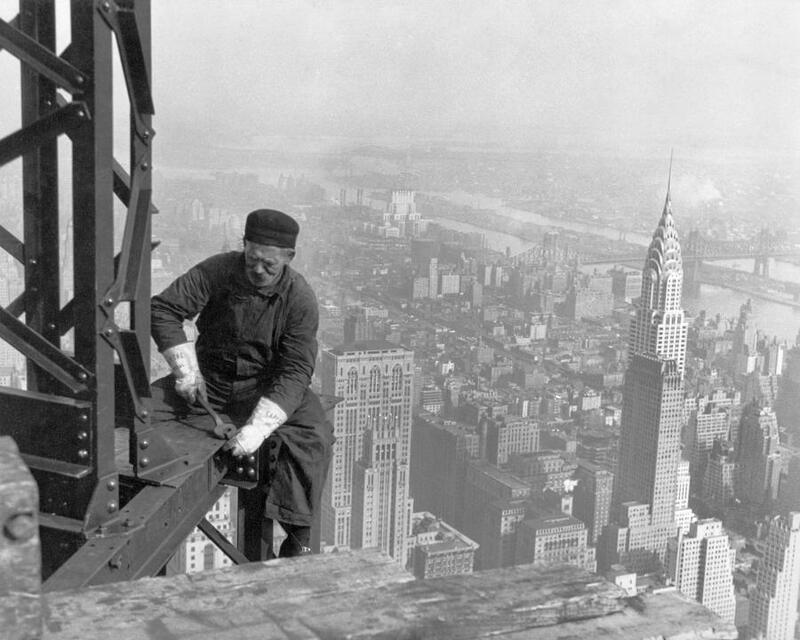 OSHA: When I was a kid, there was a “macho” mentality that to have concern about safety was a sign of weakness. That attitude has completely changed — wearing personal protective equipment is far more accepted today, and far from being a sign of weakness. A concern for safety has become a badge of professionalism. V: What is the secret of site safety? OSHA: Each job, situation and work crew are unique — and the dynamic will be different tomorrow. Because of that you need to do a hazard analysis on a constant basis, and keep up with what could happen, what is going to happen, and what the potentials are. If there is one secret, then it is for employers to make sure that their employees value themselves. V: Do fines and punishment change behavior? OSHA: Penalties are designed primarily to provide an incentive for preventing or correcting violations voluntarily, not only to the employer receiving the penalty, but to other employers too. While penalties are not designed as punishment for violations, the intent is that penalty amounts should be sufficient to serve as an effective deterrent to violations. V: Is safety always an additional expense — or can it save money? OSHA: A safety mindset can absolutely save money. This comes in the form of less time lost to accidents, litigation, and insurance costs — and in increased efficiency. One example of improved efficiency is a steel erection company in the U.S. that is strict about its six-foot fall protection trigger height. They supply workers with a tool lanyard where every tool they carry is literally tied to them. They are so much more efficient, because they are not falling, nor dropping their wrench, hammer, etc. When you enjoy that lack of injuries and improved effectiveness, you also cut your costs for general liability, workman's compensation — and become more profitable. V: Has the modern world brought any new dangers? V: What about mental health issues? OSHA: Suicide rates have been climbing in the industry for the last couple of years in the U.S. Construction workers are all temporary workers. When one building is complete they go to another building, which often means they go to a different company. The mortgage comes every month, the family needs looking after, and there is always the worry that you're about to run out of work. There's a lot of stress and pressure that comes with construction. V: When it comes to onsite equipment, what is the main danger? OSHA: In the U.S., typically 60 people die a year due to being backed over. Quite often, it is the flagman who is run over. At the other end of the scale there are still a huge number of hand injuries each year. V: What can construction learn from other industries? Is there one industry that's doing things amazingly well that construction could look to emulate? OSHA: It is very hard to compare construction to any static, general industry setting. At an automotive manufacturing plant, for instance, you know that the components and materials are going to flow through the factory in a controlled way, and at the other end of the building out goes the machine. On a construction site, it's different every day. In a factory situation, you can develop your safety program to say: “It is always going to be this way”, but with construction you can't do that. What construction must do is learn to make that assessment on a constant basis, and constantly evolve and grow. With that in mind, construction is doing a pretty good job of keeping its people safe. V: Do you have one last message to the industry in terms of what OSHA is trying to achieve? OSHA: OSHA would much rather help the construction industry figure out how to do things safely, productively, profitably and protect its workers, than with penalties and fines. We want to work with the industry to improve and develop the safest way to do things. Enforcement, penalties and fines are components of our role, but we are primarily here and ready to support and help the industry in every way that we can. With more than 40 years of experience in the field of construction, Dean McKenzie has a good understanding of the safety and health issues facing the industry. He started out in the steel mills of Indiana as a journeyman millwright in the mid-1970s. He has been a licensed general contractor, business owner, and project and operations manager. McKenzie served as director of OSHA's Office of Construction Services from 2012-2013, then became the deputy director in 2013. In 2016 was appointed director of the agency's Directorate of Construction.